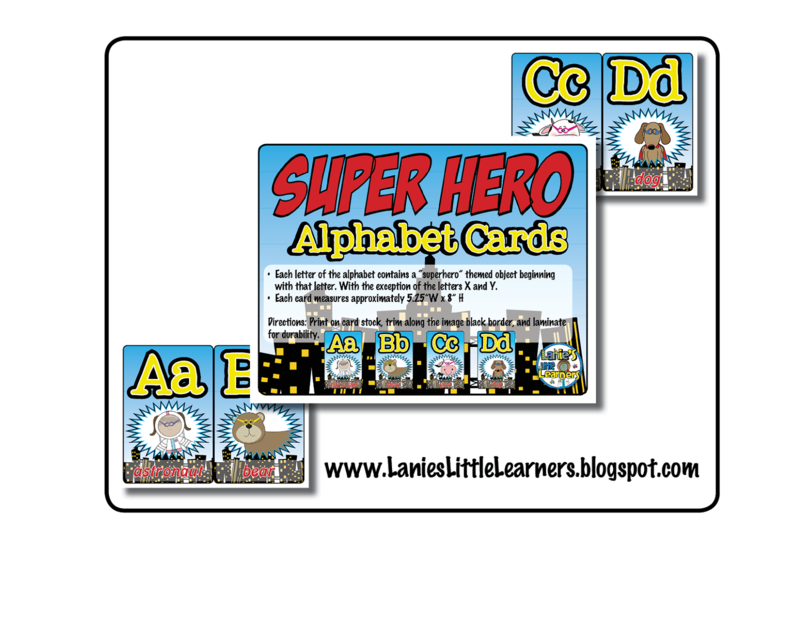 The PERFECT addition to go along with a Superhero Classroom Theme. 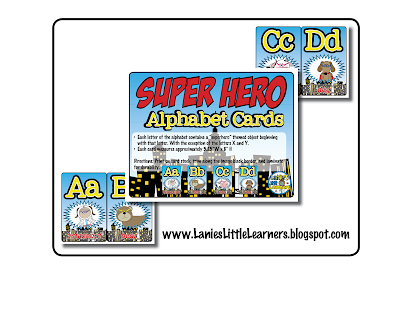 There are 26 Alphabet Cards with a superhero character for each letter of the alphabet with the exception of the letters X and Y. Finished size measures approximately 5.25”W x 8”H. Directions: Print on card stock, trim along the image black border, and laminate for durability.